A United Nations team investigating extreme poverty and human rights toured the U.S. and found cause for concern. 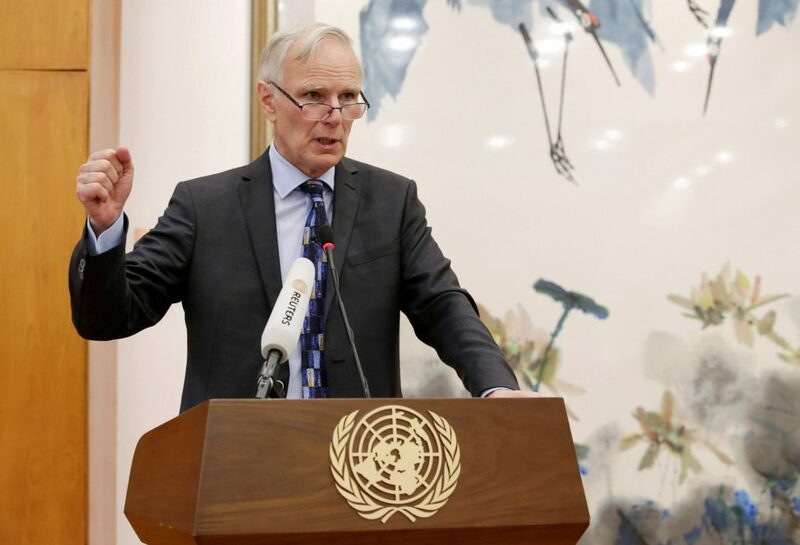 “The United States is one of the world’s richest, most powerful and technologically innovative countries; but neither its wealth nor its power nor its technology is being harnessed to address the situation in which 40 million people continue to live in poverty,” Philip Alston, the UN’s lead on extreme poverty and human rights, wrote in a report published Dec. 15. Alston’s team, which was invited by the Trump administration to tour the country, traveled through California, Alabama, Georgia, Puerto Rico, West Virginia and Washington, D.C. and spoke with a wide variety of people, including government officials, local nonprofit leaders and those living in poverty. “My visit coincides with a dramatic change of direction in U.S. policies relating to inequality and extreme poverty,” wrote the Australian-born investigator. He added that subsequent and dramatic cuts to safety net programs, “foreshadowed” by President Donald Trump and U.S. House Speaker Paul Ryan and “already beginning to be implemented” by the Trump administration, “will essentially shred” what was already a lackluster attempt to stave off extreme poverty, inequality and homelessness. While investigators found some bright spots of progress — a community health initiative in West Virginia, a California church that opens its pews to the homeless, and the “extraordinary resilience” and “community solidarity” on display in Puerto Rico — they also witnessed raw sewage flowing from Alabama homes into open trenches and met people sick because of it. “I think it’s very uncommon in the First World. This is not a sight that one normally sees. I’d have to say that I haven’t seen this,” Alston told a reporter from the Birmingham News. He added that the unwillingness of government to help with such basic services represents a dereliction of duty. “Contrasts between private wealth and public squalor abound,” Alston wrote regarding the overwhelming levels of inequality he witnessed throughout the nation. The full report, which I wish I had space to fully reprint, should be required reading by every voter. As Americans, we tout our exceptionalism. So it is sobering, and necessary, to have our strengths and shortcomings so bluntly placed in black and white. As political debates about abortion rage, American newborns die at the highest rate in the developed world. The “health gap” between Americans and people in other developed countries is widening, which means Americans live shorter and sicker lives than their counterparts. Americans spend more on health care and receive far worse outcomes. Americans cover societal problems with incarceration, which has led to the highest incarceration rates in the world — ahead of Turkmenistan, El Salvador, Cuba, Thailand and the Russian Federation. American access to water and sanitation ranks 36th in the world. Best estimates are that 12 million Americans live with a neglected parasitic infection. In between counting our individual blessings this holiday season, we should decide what can collectively be done to live up to our claims of greatness.